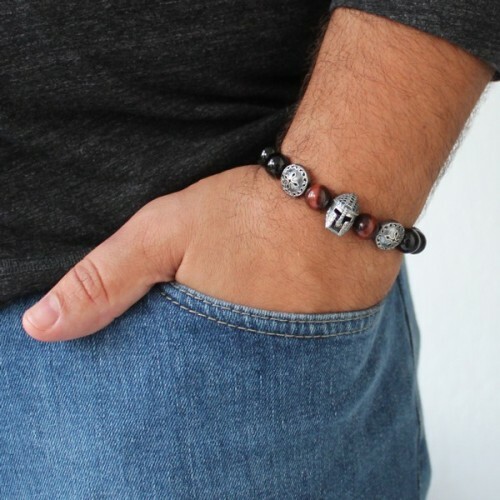 Exclusive handcrafted bracelet made with 8 mm Onyx and Tiger's Eye stones, featuring Game Of Thrones inspired 925 Silver helmet with black Zircon stones on top and shields. Helmet and shields have eye catching details. It's adjustable, utilizing a sliding knot made with macrame cord and is easy to put on and take off by yourself.